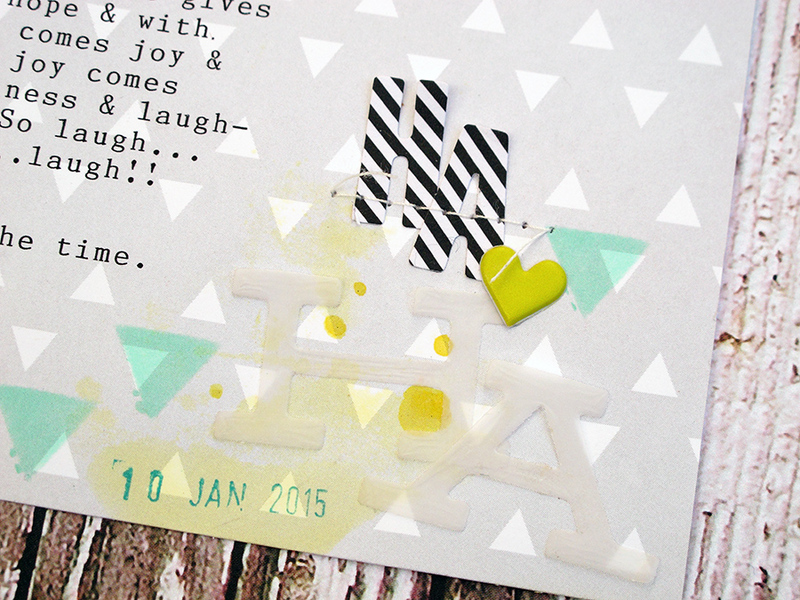 kim watson ★ design ★ papercraft: Four ways to add laughter to a project! Four ways to add laughter to a project! Happy Wednesday friends!! I hope you are having a wonderful week so far! Today I am sharing my last May Hip Kits club project with you. I wanted to make sure I have posted all my May projects so I can start posting my projects from the gorgeous June kits & add-ons. 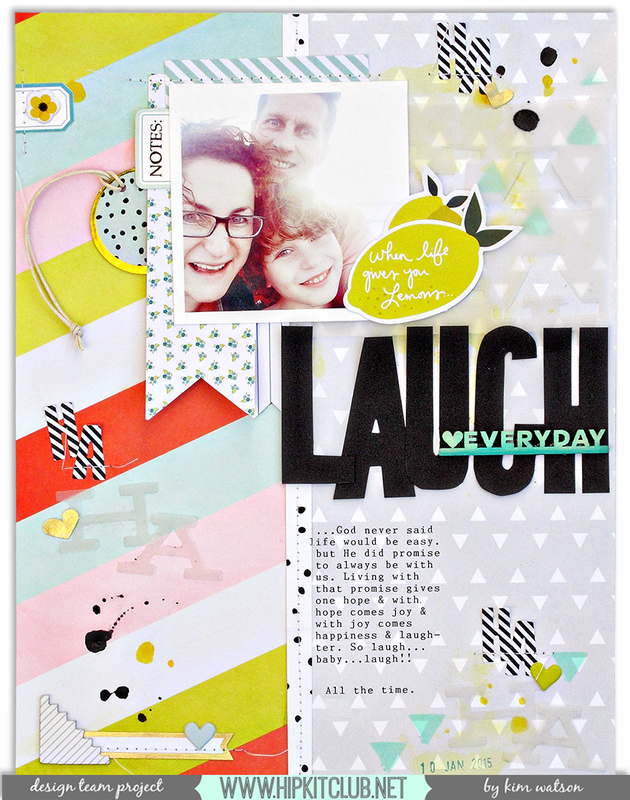 Wanting to emphasise the feeling of joy on my layout, as I mentioned in my journaling…I settled on the words “Ha-Ha-Ha-Ha!”, using them in a few ways. Die-cut them out of vellum paper & then used the negative space paper as a mat under the photo. 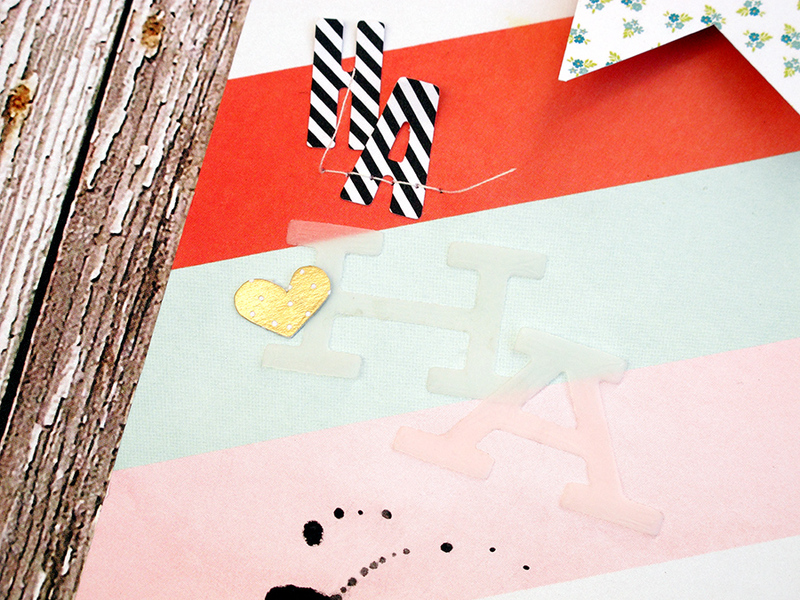 The die-cut “Ha-ha’s” were also used as part of secondary titles, scattered around the page. 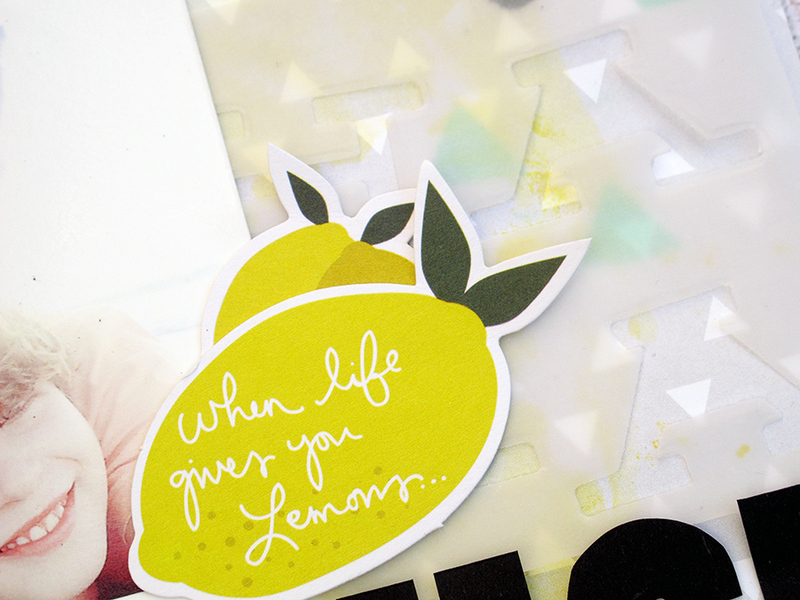 Using the uber cute striped alphas as seen in the May project life kit, I added more “Ha-ha’s” to the vellum title clusters. 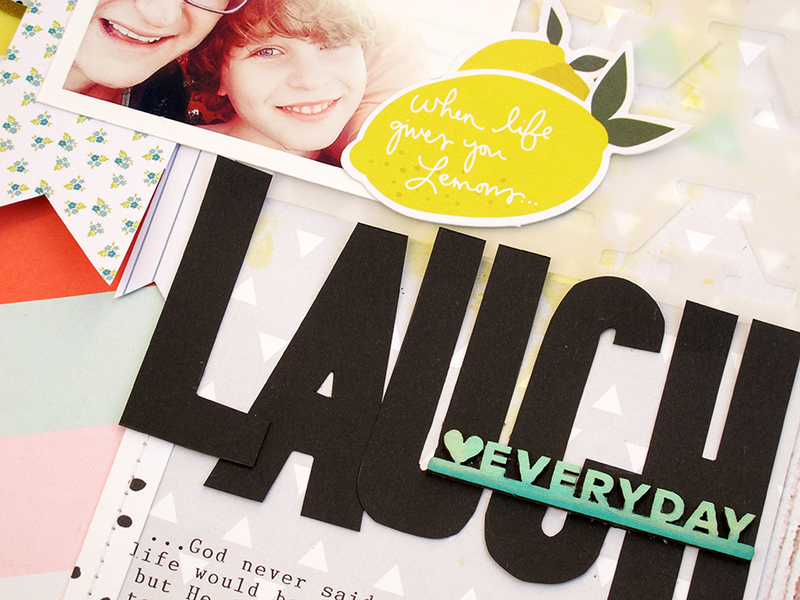 I hand-cut the title ‘Laugh’ in black cardstock, creating a fabulous focal point! This page has so much ‘Happy’ going on LOL! For the main title, I hand-cut the letters as neatly as I could in black cardstock. Ironically, it is the imperfections in the wobbly letters that make them so cool. So if you are going to try this…relax…sketch them out loosely on the reverse side of the cardstock before-hand & let the scissors do all the work. It is so much fun!! I appreciate you stopping by the blog to take a look at my page. I hope you have found it inspirational. Remember to stop by the Hip Kit Club Member Forum to grab our monthly FREE cut-files, as well as hang out with some great crafty gals.